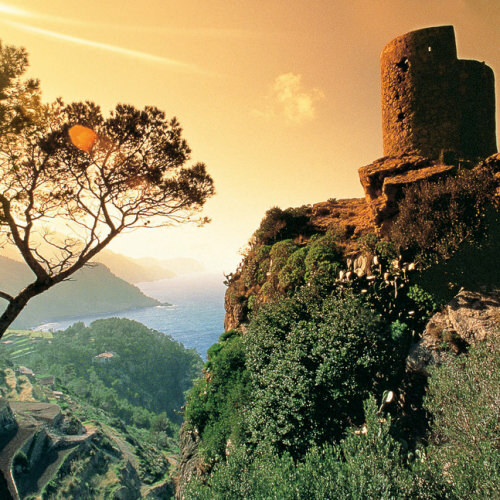 Endless sunshine, stunning beaches and charming towns, and a vibrant, international capital. 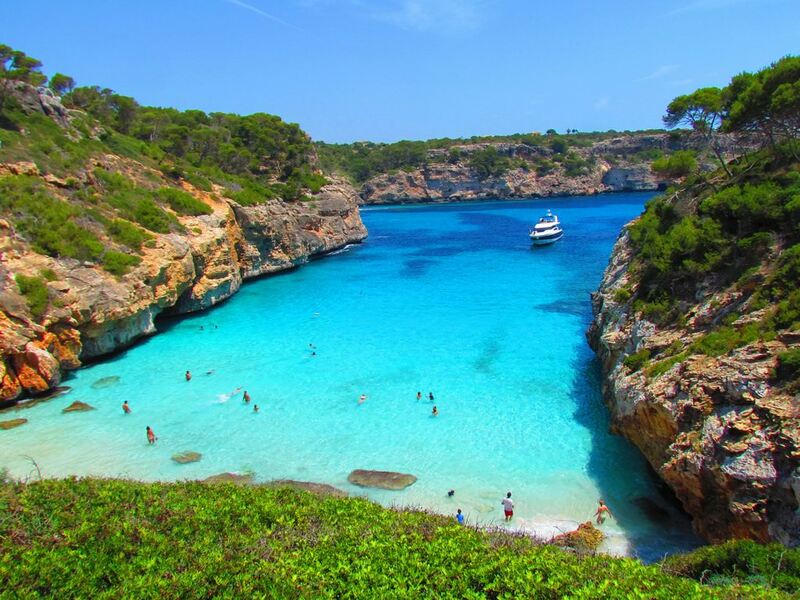 Mallorca simply is a paradise. 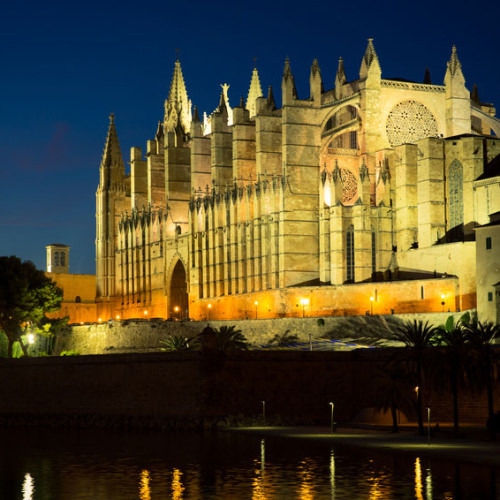 Mallorca is the biggest Balearic Island and surrounded by the beautiful, dark blue Mediterranean Sea. It welcomes millions of tourists every year and is home to about 900 thousand people of many different nationalities and cultures. 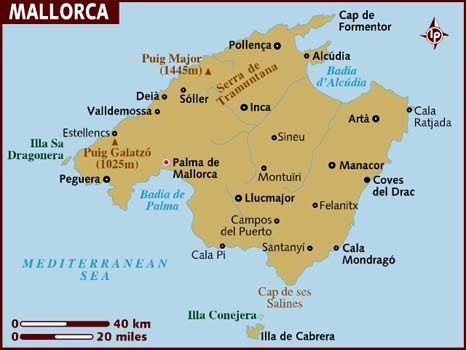 Besides Catalan and Spanish other languages spoken on the island are English, German, Swedish, French, Italian or Russian. 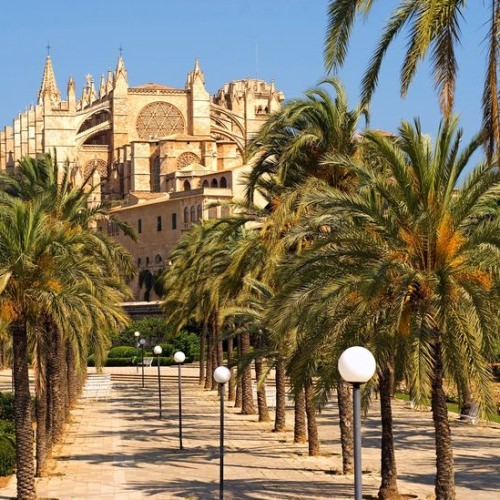 The island’s capital is Palma de Mallorca, which is located on the western coast of Mallorca and reaches from Magaluf in the west to S’Arenal in the east. 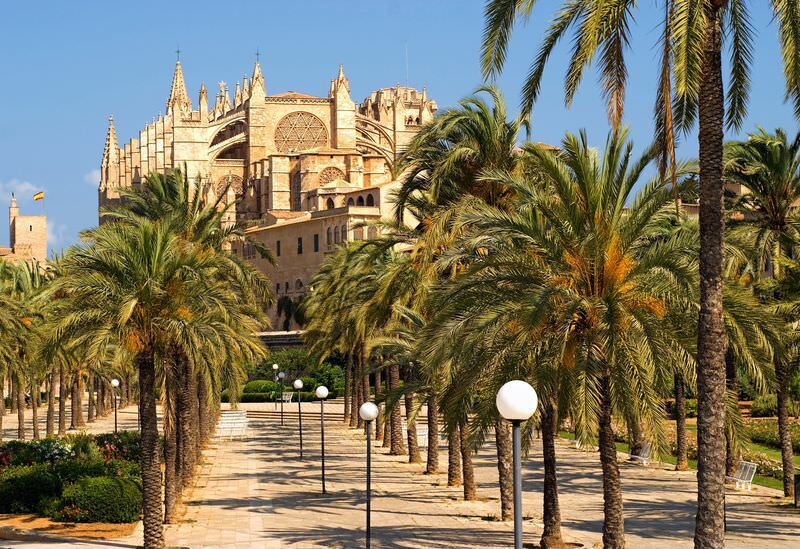 The charming, historic old town forms the centre of Palma. 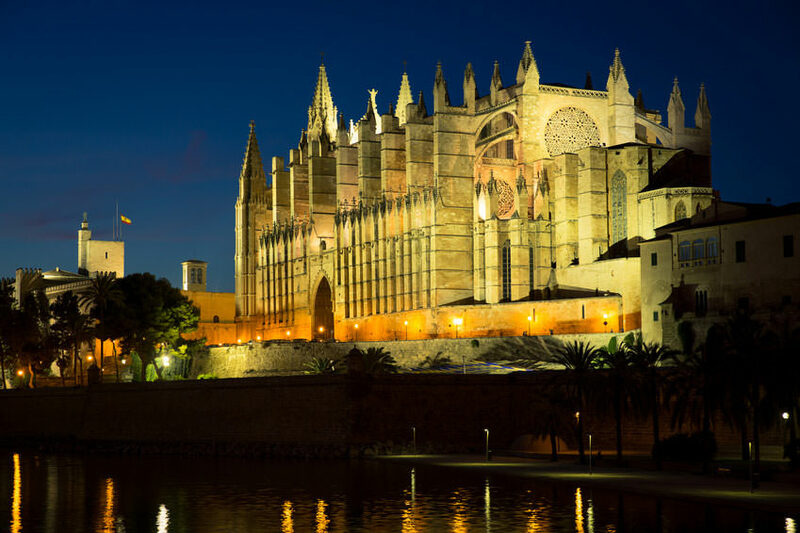 Some of Palma’s main attractions are the gothic cathedral La Seu, the lively Plaça Major, the huge harbour with its promenade, the Bellver Castle, the hip Santa Catalina or the beautiful La Lonja quarters. 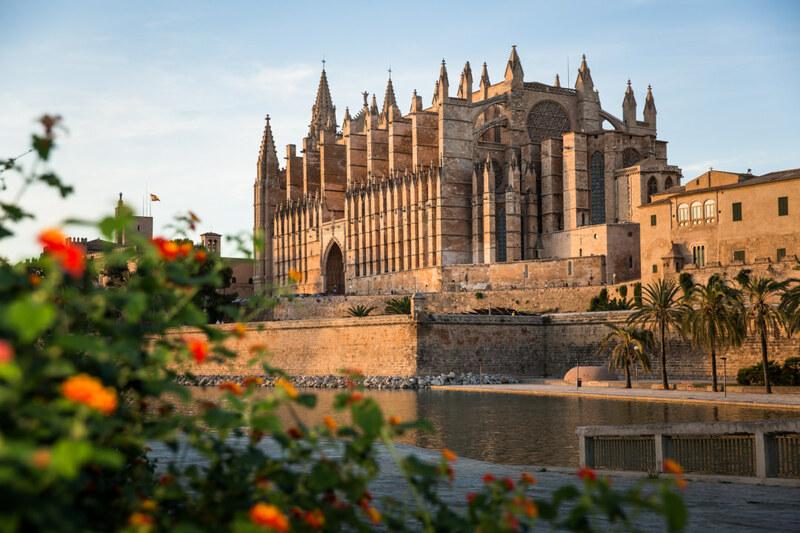 Numerous excellent restaurants and cosy cafés, world-renowned and glamorous hotels, art galleries and museums, infinite shopping possibilities and a fabulous beach and harbour make Mallorca‘s capital the ultimate place to be and live. 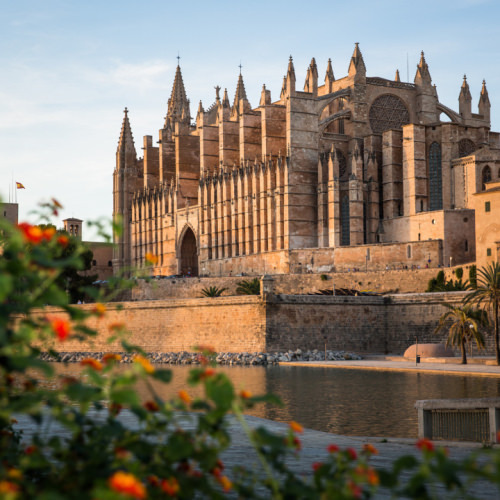 Besides larger cities like Palma, Manacor and Llucmajor, Mallorca is also home to two mountain ranges, the Serra de Tramuntana and the Llevant mountain range. 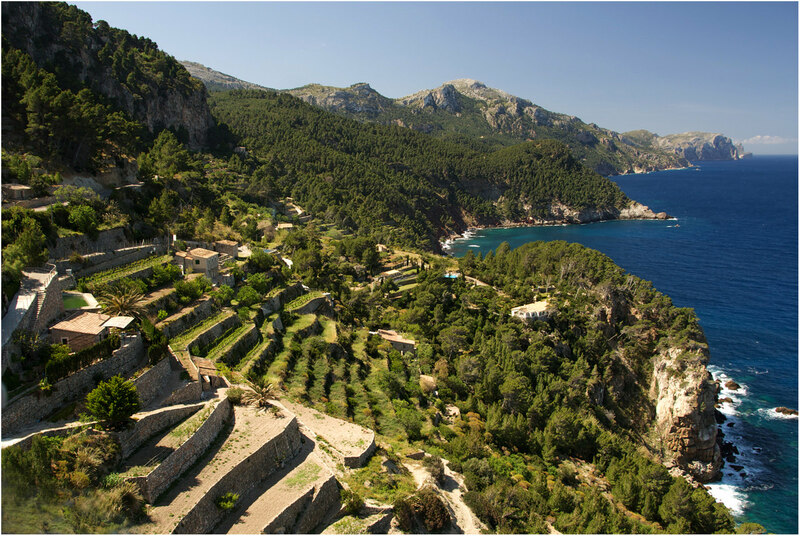 The spectacular Serra de Tramuntana is more than 90 kilometres long and stretches from the west to the northern east coast of Mallorca. 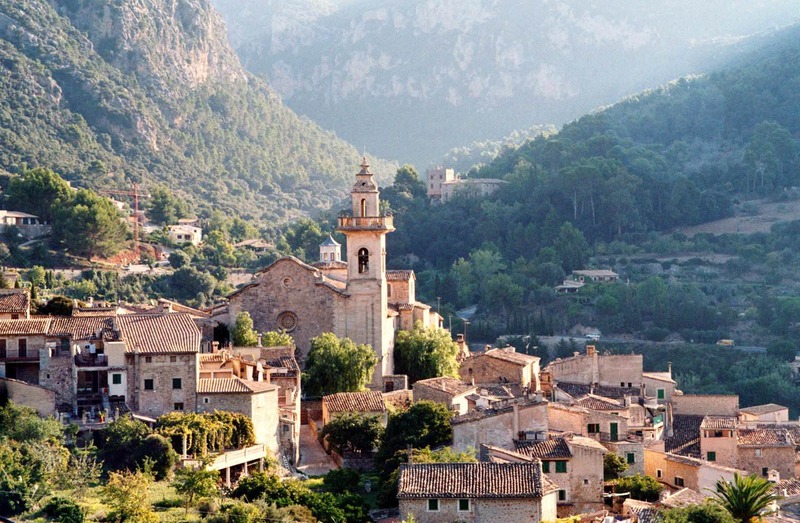 In 2011 the UNESCO declared it a world heritage site. 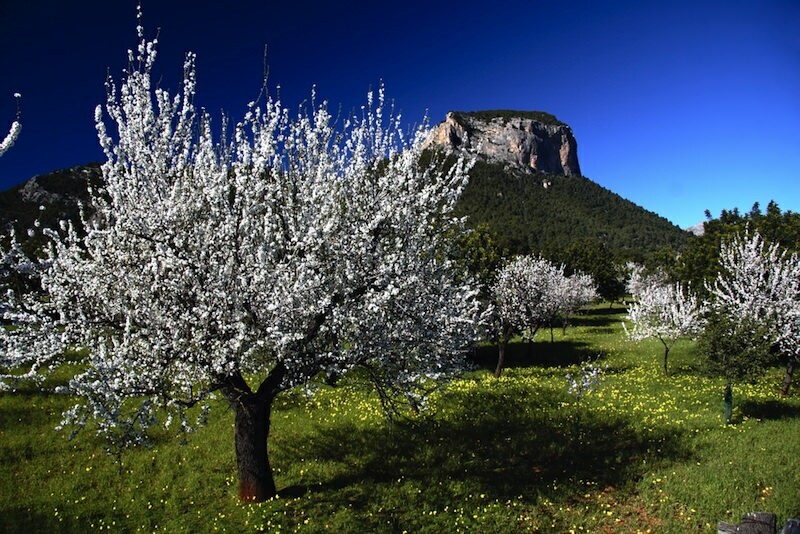 The highest peak on the island is located here, the Puig Major reaches 1445 metres. 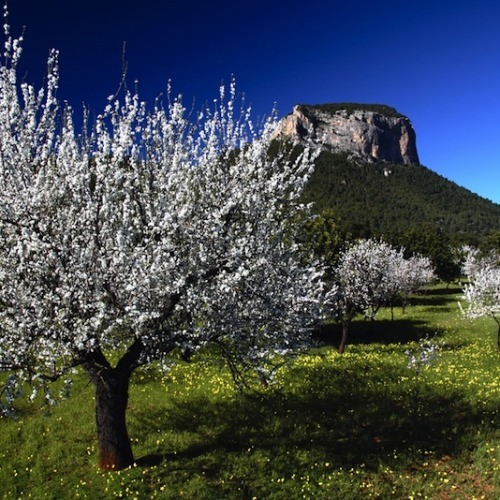 The Llevant mountain range, located further down close to Artà, is lower but equally beautiful. Both mountain rages are a true paradise for hiking fans and nature lovers. 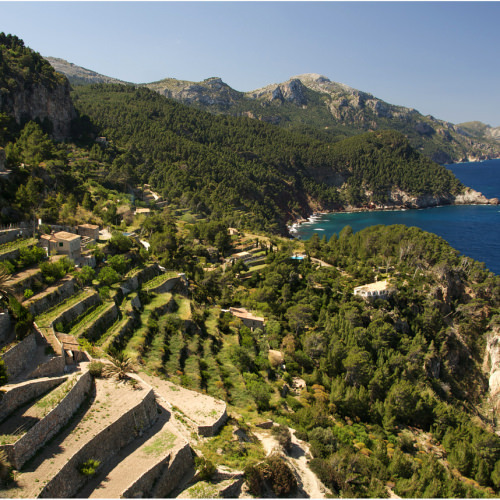 Adventure-seekers will also love the numerous caves spread all over the island, such as the Coves del Drac in Porto Cristo or the Coves d’Artà. 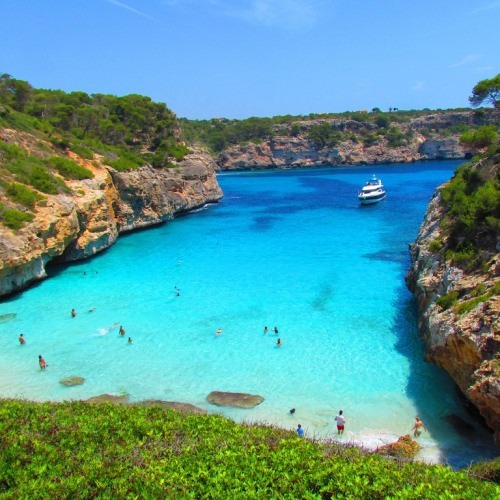 One of the reasons why so many people flock to Mallorca every year are the marvellous beaches the island has to offer. 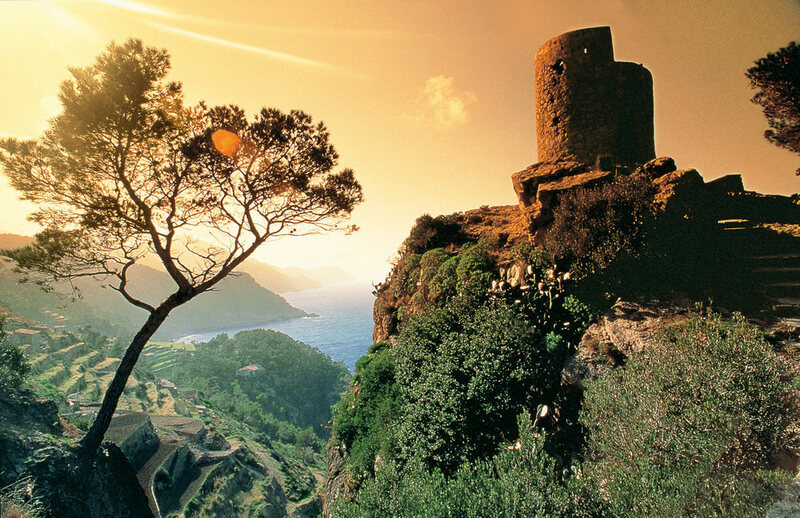 It has about 30 blue flag-awarded beaches from small, almost untouched coves to large sandy beaches. 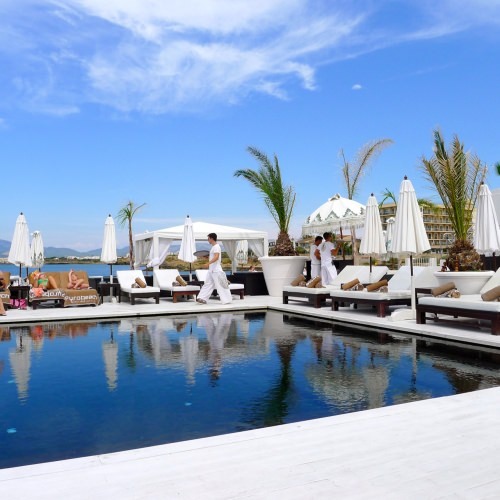 Some of the most popular beaches are Playa de Palma, Es Trenc and Playa de Muro. The coves and beaches around the island invite for refreshing baths, snorkel or diving excursions and fun water activities. 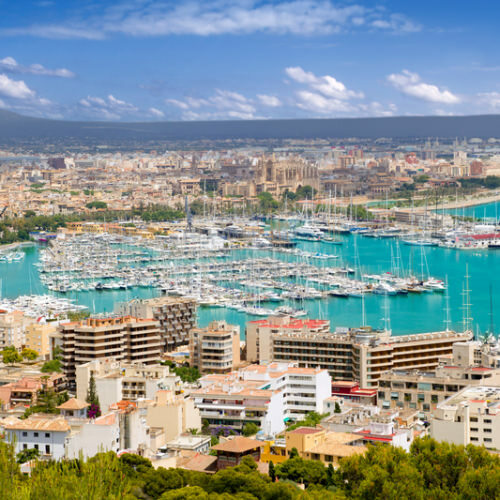 Many visitors and residents spend their summers by the sea at sought-after holiday destinations such as Puerto Pollensa, Alcúdia, Cala Ratjada or the area of Calvià. 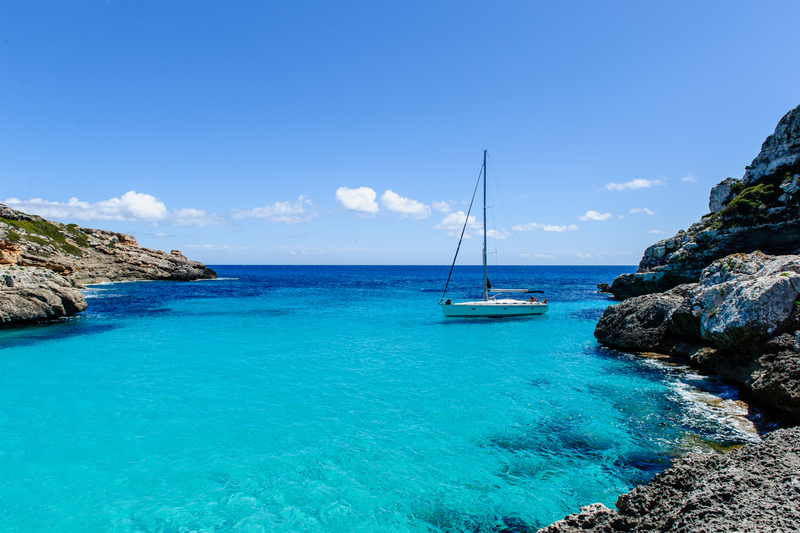 Its location in the western Mediterranean makes Mallorca a perfect place for yachting and sailing. 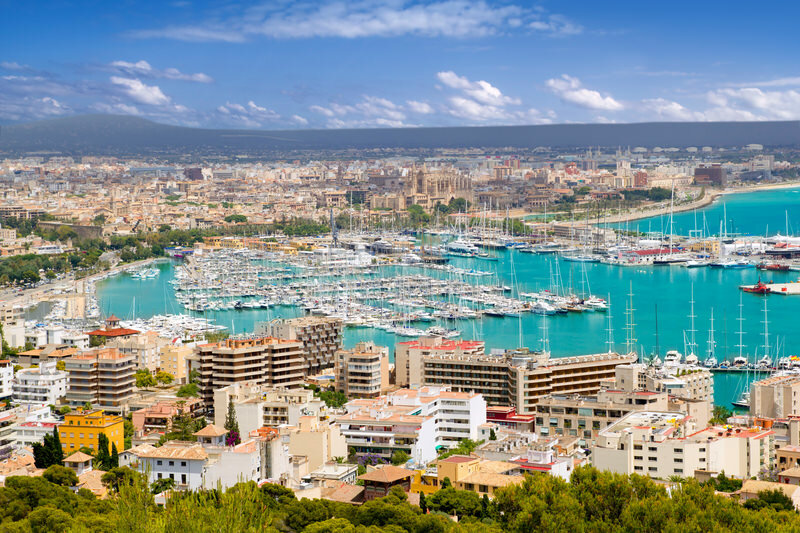 There are many exclusive marinas on the island such as the Puerto de Palma, Puerto Portals or Port Adriano as well as other large harbours that offer perfect conditions for boat or yacht owners like the harbours of Port de Sóller, Port d’Alcúdia, Cala Ratjada and Porto Cristo to name but a few. 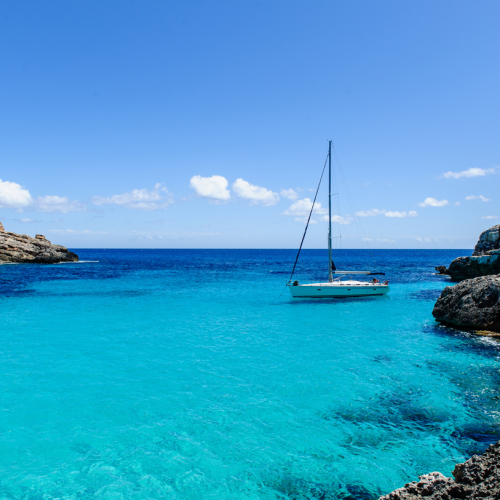 Owning a boat, yacht or going on a boat excursion allows to explore the island’s stunning coastline and experience a different side of Mallorca. There couldn’t be a better place for a construction and renovation company like Paul Robinson. 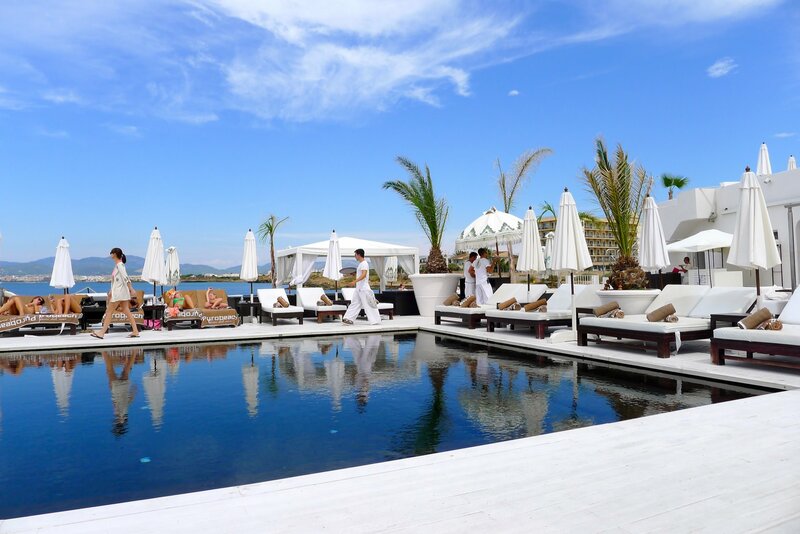 Every year numerous visitors decide to make the island their home and build a new villa or house by the sea or on the countryside. 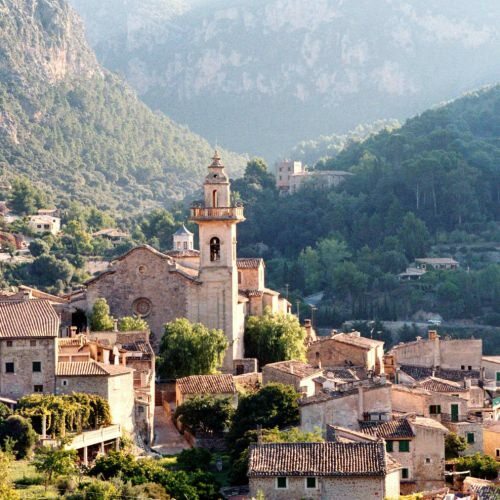 Others have already fulfilled their dream and own a beautiful property in Mallorca that might need refurbishment to become the ideal, desired home. With a lot of passion, expertise and professionalism Paul Robinson helps both ‘new islanders’ and residents create their perfect home on the island.